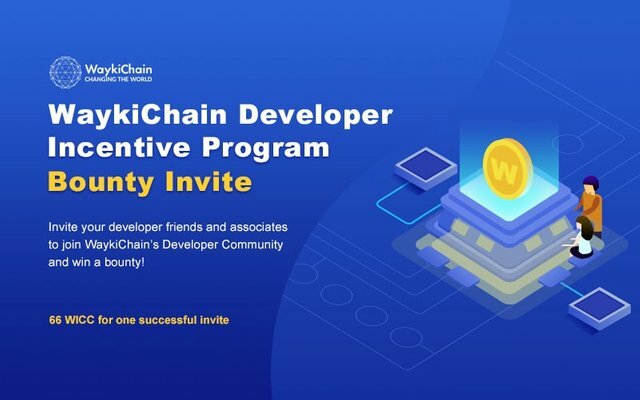 Invite your developer friends and associates to join WaykiChain’s Developer Community and win a bounty! 4. 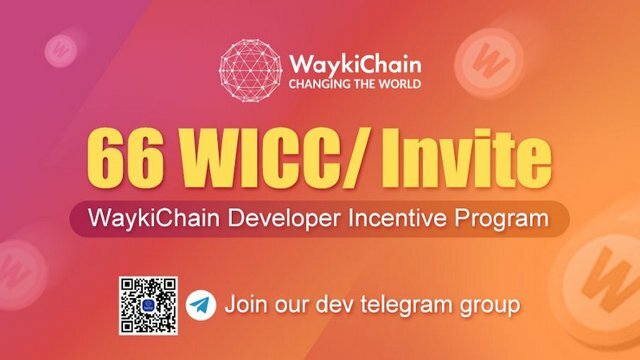 The developers who get your invite code, join WaykiChain Developer Community, register one of task forms and input your invite code. Then your invite is successful. 5. You can win 66 WICC for one successful invite. Bounty will be distributed after the bounty event is closed. 1. One invite code(WICC address) can invite max. 10 developers. You can create a new WICC address for inviting more developers. Attention: please keep your mnemonic words and private key to get your old wallet back. 2. WaykiChain will evaluate whether the submitter of task forms have related experience to development. If not, then the invite is failed. 3. The bounty will be transferred directly to the WICC address in the Google Form submitted by the participant. Please make sure that the WICC address is valid. 4. Developers who get the invite code can win bounties by completing different developer tasks. 5. 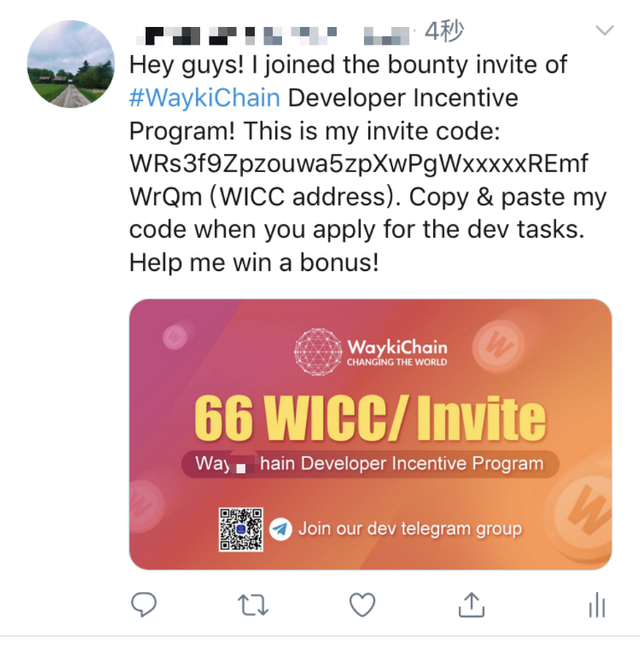 The WaykiChain team has the final interpretation of Bounty Invite.